If you ain't know, the BITM squad are big Pro Era advocates. 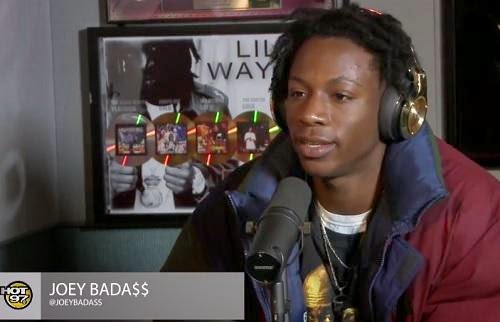 It was our own Ra'z that personally put me on to the crew, and in particular to the young Joey Bada$$. If you haven't read Twon's B4.DA.$$ review, do so now. Joey dropped his debut solo studio album earlier this week, and of course the last few weeks were full of promo interviews. One of the last interviews was with Peter Rosenberg on the Real Late with Rosenberg show and it ended with a MONSTER freestyle. So if our review isn't enough to make you peep the album (don't know if that's possible), check the video below. And then cop the album. Freestyle starts at about the 10:30 mark.